During Lent, I’ve been re-reading The Celebration of Discipline by Richard J. Foster. The book is divided into three parts. Part one focuses on the inward disciplines of meditation, prayer, fasting and study. Part two illuminates outward disciplines of simplicity, solitude, submission and service. And part three defines the corporate disciplines of confession, worship, guidance and celebration. Last week, I posted some thoughts about mediation and prayer. Today, I’ll share my ponderings about service. Before you rake your fingers through your hair in exasperated frustration because you’re already overcommitted to several organizations, foundations, PTA projects and chaperoning your kid’s school field trip, and you don’t want me guilting you into any additional tasks, Foster aticulates these feelings and states that many of us would surely prefer that being a good Christian were more about radical and ascetic self denial than service of the foot washing variety. “Please God, just let me have less to do,” we plead. Why is true service considered a spiritual discipline? Something we should practice during Lent and throughout the year? Because, as Foster notes, service is one of the only ways to develop humility, a virtue that is never gained by seeking it. 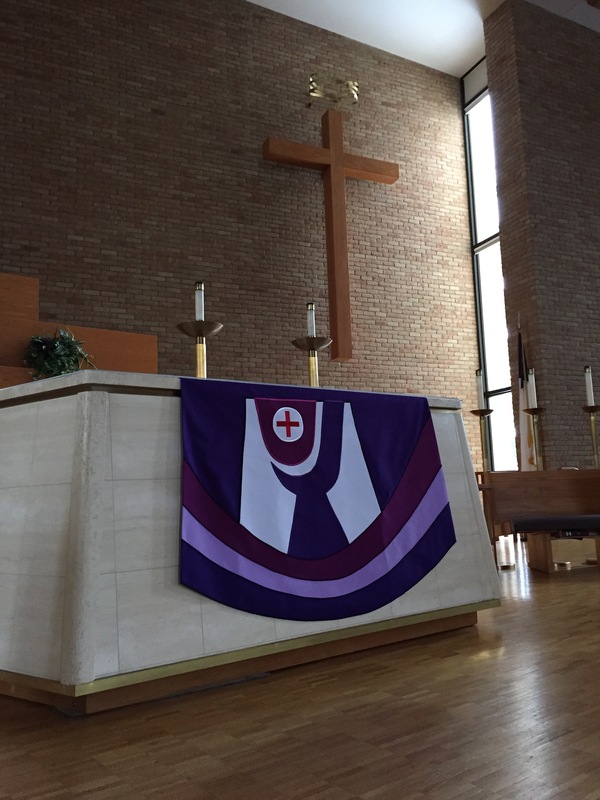 Service also puts us at odds with our (at least my) tendency toward sloth, idleness and self-centeredness. I’ve worn those frantic volunteer shoes; signed up to make coffee at church, to host dinners and bible studies, to teach Sunday school and pack meals for needy children in faraway lands. I’ve checked these items from my good-girl to-do lists and patted myself on the back for a job well done. Of course these are all good and useful acts of service. Don’t misunderstand. But for me, they don’t compare to the struggle of trying to minister to an angry and depressed teenager whose parents are getting divorced or wheeling a stroke victim from his breakfast table to the lavatory, his clothes covered in toast crumbs and dribbles of milk. It is also true when we flip it and realize there is, at least according to Foster, service in being served. He says, “It is an act of submission and service to allow others to serve us. It recognizes their “kingdom authority” over us. “We graciously receive the service rendered, never feeling we must repay it. Those who, out of pride, refuse to be served are failing to submit to the divinely appointed leadership of the kingdom of God,” Foster says. I recall once feeling pained when a friend told me she wished her neighbor wouldn’t shovel her driveway because she didn’t want to be indebted to him. Imagine if we demanded the poor or the infirm to repay our acts of service. This sounds outrageous because it is. It would be cruel and diminish an act of charity to an abusive act of tyranny. And yet, are we so much better than those less well off that we should pride-fully refuse an act of service? No. Simply say thank you. Return the gesture if you can. But let’s please dispense with keeping track. Service isn’t about balancing the scales. It’s about heaping the scales with kindness so as to cause them to sag low to the ground and eventually break open, drenching the world in Christ’s compassion. 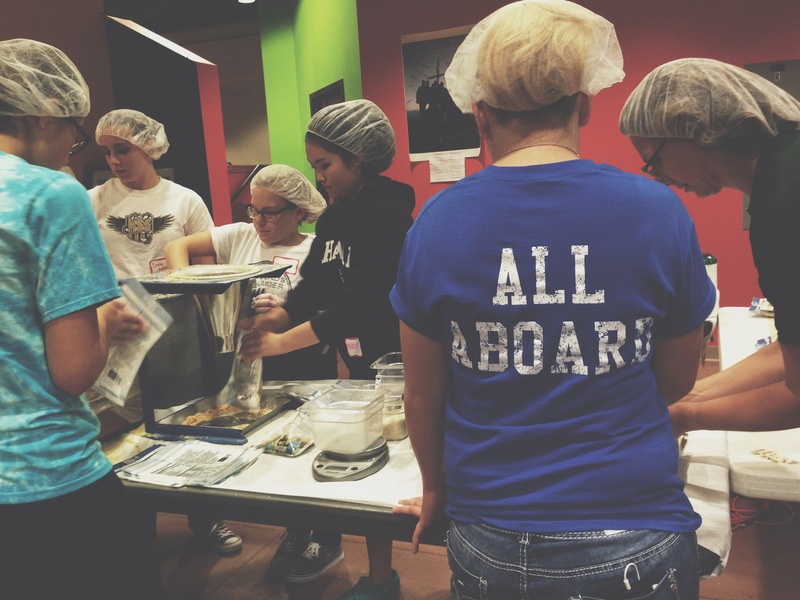 What are some ways we can begin practicing the spiritual discipline of service? Listen to those whispered promptings and divine urgings. It’s not enough to gratefully think, “Thank God that’s not me.” Do something. Bear one another’s burdens. Send someone a handwritten note, a nice email or a prayer card. Maybe choose a random name from the prayer page at your church. It only takes a few minutes and can be so cherished. Be hospitable. Invite people into your life. Don’t fuss. Keep it simple. Order pizza or take-out if you don’t like to cook. Be impromptu. Be open-minded. Shovel a neighbor’s driveway. Offer to babysit. Drive someone to the pharmacy. Offer to pick up items from the store. If you’re like me, you’re at the store a half dozen times a week. It can’t hurt to throw and extra quart of milk into the basket for a homebound friend. Coach youth sports or teach Sunday school. Trust me. These days, most kids don’t need experts so much as reliable adults who make a point of showing up! Amen, Amen, Amen. 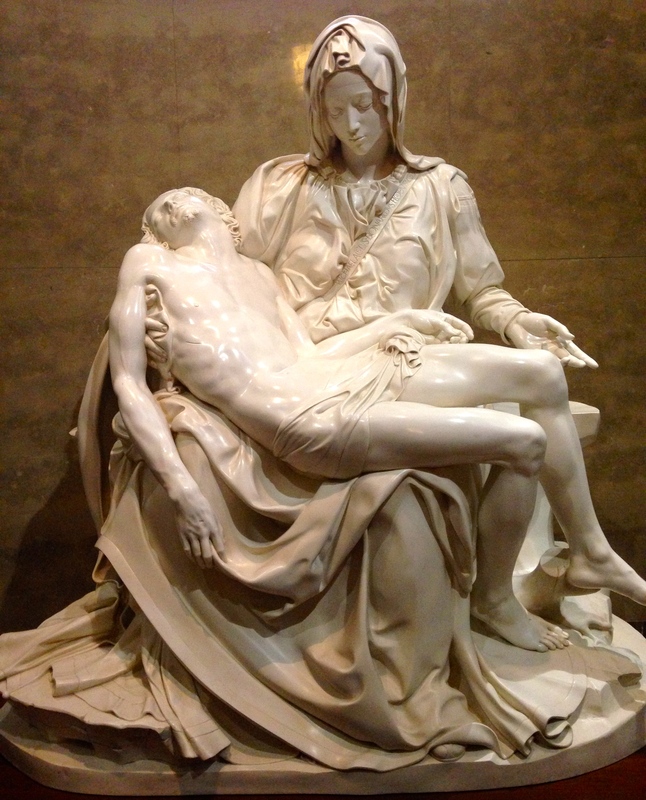 Beautiful Pieta, too. HUGE AMEN! I loved everything about these and especially the concrete suggestions.